Ever since my children were born, it is a tradition in our house to paint my hubby a t-shirt. 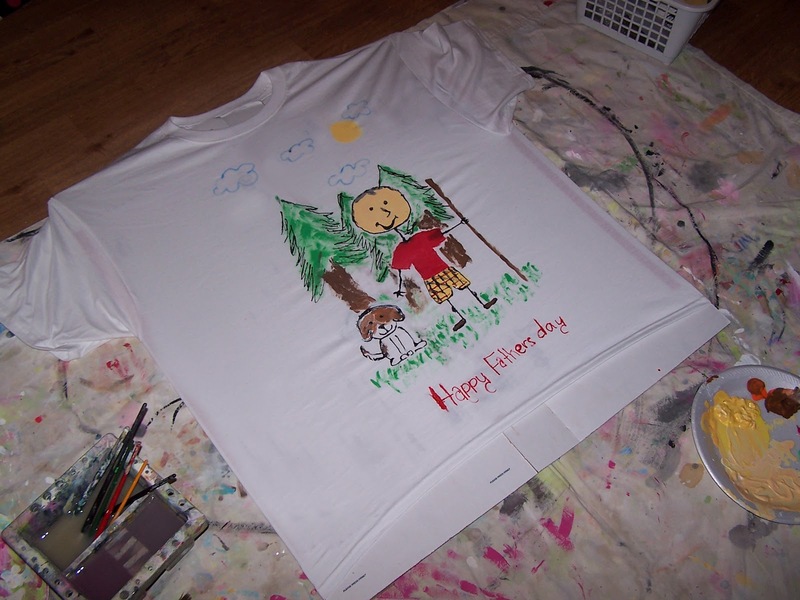 This year they were old enough, so I turned them loose in my studio to do their masterpiece. No assistance from me this time. I am still in disbelief that I left them alone in here. I am sure that I will find some obnoxious thing they did in my absence. And yes, I will scream in frustration if I do! This is what I found when I returned and I think it is so precioius! My hubby and the family dog, Pokey. My hubby takes a walk with the dog every day after work, so I am sure this will be the perfect gift. I have decided that my daughter who is 13 years old must have taken charge of this project. She is quite the designer. There is absolutely no way that my 7 year old son would be able to center art this good on a t-shirt. 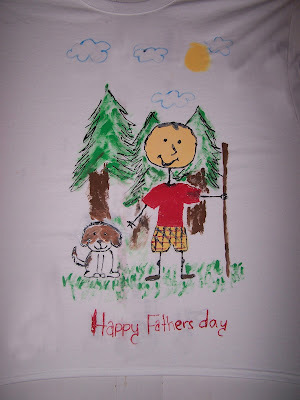 I even noticed that they have Happy Father's Day centered with the art! I am certain hubby will love it. Hope you have a Happy Father's Day, too! Until next time~Carmen b. "I DO" That is two words I have already heard several times in the past two months. I have already been to 3 weddings in the past 2 months and we have one more in July. Whew! 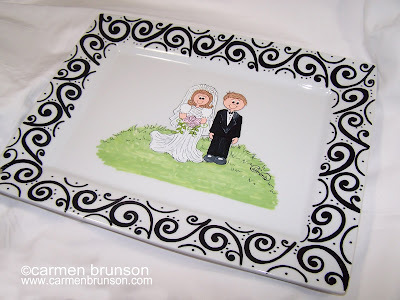 I thought I would post a picture of a wedding platter I painted. 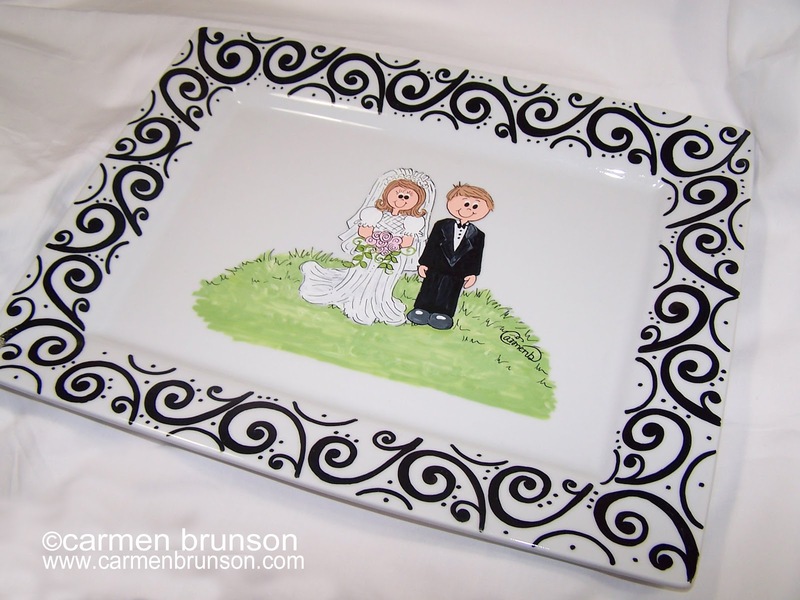 This a great treasure for the Bride and Groom. I personalize the name and the date of the wedding in the grass below their feet. I have not personalized this yet. I did this for someone and I am not sure if they are one of my readers, so I did not want to spoil surprise! Hope you are having a relaxing summer so far! Until next time~Carmen b.